"We Go Where You Go"
Hudson Garbage Service is a Northwestern Oregon waste company providing top quality, ADA Compliant portable restrooms for job sites and special events. Some portable toilets even feature hand wash stations and fresh water tanks. 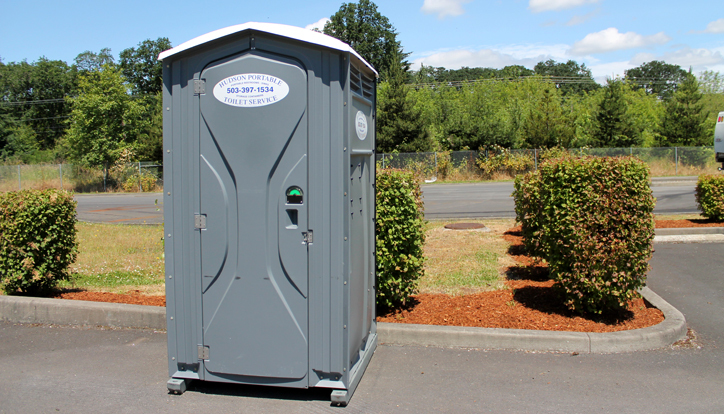 Call our St. Helens, OR office at 800-422-9998 for details, rates and portable toilet availability. Clean portable toilets by Hudson Garbage Service are available to rent for special events, including: weddings, family reunions, neighborhood gatherings, and construction projects. 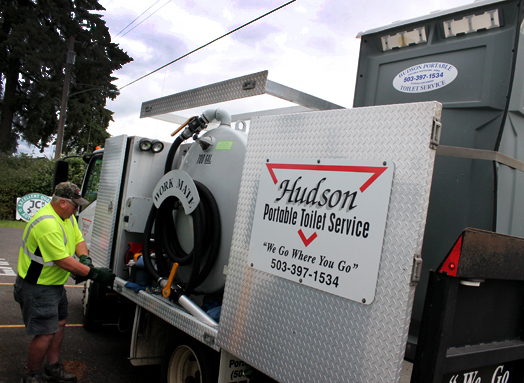 We ensure consistent, reliable and safe sanitation services at every NW Oregon event.